We’re working together to provide the best library service to all Ohioans. The Statewide Delivery System, which supports statewide resource sharing by delivering more than 8 million books and other library materials to Ohio library users each year. The Ohio Web Library, which makes a collection of thousands of digital publications and research materials available to all Ohio libraries, schools, universities, and residents, at no cost to them. The Ohio Digital Library, which provides downloadable eBooks and other digital content to library customers. 177 libraries have joined together to provide Ohioans with access to the more than $4.3 million worth of digital content available in the Ohio Digital Library. LCO is a partnership of Ohio libraries and library organizations that are working together to build and provide a core collection of information resources and library services that will help all Ohioans compete in the global knowledge economy. This collection of resources, called the Ohio Web Library, supports quality education, a skilled workforce, business growth and lifelong learning in Ohio. The State Library of Ohio, OhioLINK (Ohio Library and Information Network), OPLIN (Ohio Public Library Information Network), and INFOhio (Ohio’s PreK-12 Digital Library) formed Libraries Connect Ohio in 2003 as an initiative to define and deliver a statewide collection of databases to provide a common set of information resources. The partnership exemplifies the value of collaboration. Libraries Connect Ohio improves the buying power and breadth and scope of information resources available to all Ohio residents regardless of where they live or go to school. The savings affords libraries and library networks the ability to build on the core collection in Ohio Web Library by purchasing additional resources to meet the needs of their patrons. INFOhio, transforms student learning by providing equitable access to quality digital content and cost-effective instructional and technical support for each student, educator, and parent in Ohio. INFOhio is optimized by the Management Council. 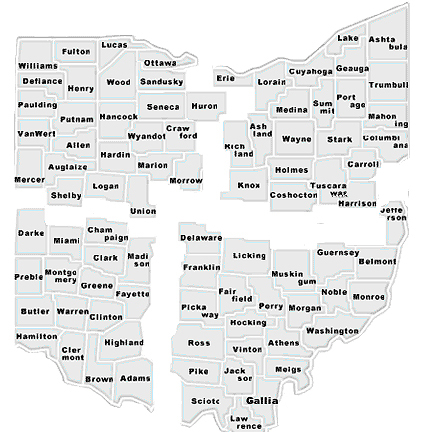 The Ohio Library and Information Network (OhioLINK), is a consortium with 120 libraries as full members. These libraries are distributed among 92 different Ohio colleges and universities. OhioLINK membership includes the State Library of Ohio, 16 public university libraries, 52 independent college libraries, 23 two-year college libraries, 16 branch campus libraries, 8 law school libraries and 5 medical school libraries. Library and other academic partners work collaboratively with OhioLINK to offer the greatest breadth and depth of resources to their patrons at substantial savings to the State of Ohio. The Ohio Public Library Information Network (OPLIN), provides broadband internet connections and related information services to Ohio public libraries. Their primary mission is to ensure that all Ohio residents have fast, free public internet access through the 251 independent local public library systems in Ohio, as well as the use of high-quality research databases not freely available online. A membership organization for private and public colleges and universities including higher-education libraries like medical and law school libraries. NOTSL exists to provide opportunities for Technical Services Librarians to exchange information, ideas and experiences in Technical Services. Membership organization for academic, public, school and special libraries in Ohio, West Virginia, and western Pennsylvania. Membership organization for Ohio’s public libraries, trustees, Friends, and public library staff. Provides broadband Internet connections and related information services to Ohio public libraries. The SEO library center is a satellite location of the State Library of Ohio. The SOA mission is to exchange information, coordinate activities, and improve professional competence in Ohio’s archives and manuscript repositories. The Central Ohio chapter of the Special Libraries Association (CO-SLA) is a professional association committed to providing networking and career development opportunities for library and information professionals in the Central Ohio area. All libraries, of all types, are considered “associate” or “core” members of the Regional Library System service area within which it falls geographically. Ohio Regional Library Systems are member-driven, multi-type library organizations that coordinate and facilitate the development of professional development events and other innovative services for Ohio academic, public, school and special libraries. The State Library of Ohio’s total amount allocated the Regional Library Systems for each fiscal year is $582,469. Each regional receives $145,617.25. These state dollars are to be used to fund the basics: provide a director, clerk treasurer, CE coordinator, facility rent, utilities and provide technical support to libraries through the Regional. The primary function of the Regional Library Systems is to provide library continuing education. Click here to see the statewide CE Ohio calendar. Special services and products have been developed by individual organizations and Regional Library Systems. Regionals are encouraged to develop new models for sharing these services and products which might be of interest to libraries across the state. All libraries, of all types, are considered “associate” or “core” members of the Regional Library System service area within which it falls geographically. These libraries have access to core services provided by the State Library and delivered through the Regional Library Systems. Any additional library services and discounts are available through membership in the Regional Library Systems.